Jane Shemilt takes us inside the operating theatre and the animal lab, to Jura and to Hampstead Heath in this modern reworking of Macbeth in her latest novel, How Far We Fall. Albie is the ambitious neurosurgeon whose story we follow in interweaving chapters alongside Beth, his wife. Both their lives are blighted by one man. Envy and anger eat at them with tragic consequences. The plot thrills, it never seems forced or inevitable, even though we know there will be a murder and who are the main players. We yearn to know how it happens, guided along by her glittering prose. With a preciseness of a scalpel’s knife, Shemilt leads us into the inner world of neuro-surgery, sets out the world of career consultants and the struggle to achieve the high prizes on offer. Her humanity shines through, we never doubt her utmost respect for the men and women who save lives, who face difficult clinical decisions as they drill inside skulls during brain operations. Her characterisation and world-building are superb – if this book doesn’t increase tourism to Jura I’d be very surprised. We care about Albie and Beth, though as they change over the course of the novel we question what it is to love and what happens when that tips over into something darker. 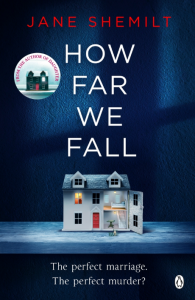 How Far We Fall has been optioned for a TV drama and the book is available in all good bookshops now. Jane Shemilt first appeared at Novel Nights in Bristol with her novel, Daughter, a best-selling debut of 2014. The Drowning Lesson followed. 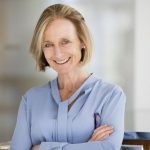 She worked as a GP before studying the MA in Creative Writing at Bath Spa University. The Blogger: Grace Palmer directs Novel Nights. She writes novels and flash fiction and is on the look-out for an agent.